The immediate outlook for bitcoin will remain bearish while prices are held below the 6-hour chart 50-candle moving average, currently at $3,417. Litecoin’s BTC-denominated exchange rate (LTC/BTC) clocked seven-month highs earlier today. A close above 0.010182 BTC would confirm an inverse head-and-shoulders breakout and open up upside toward 0.013 BTC. The rally, however, may not happen immediately, as the 14-day relative strength index (RSI) is reporting overbought conditions. LTC’s bullish setup would be invalidated if prices fall back below 0.010182 BTC. That looks unlikely, though, given the bullish long-term moving averages. 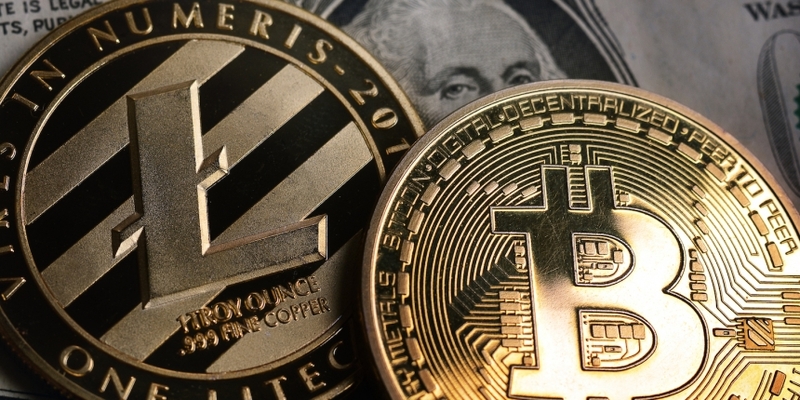 Bitcoin (BTC), which continues to languish near seven-week lows, is being outshone by a surge in litecoin prices. BTC, the world’s leading cryptocurrency by market capitalization, is currently trading at $3,390 on Bistamp and risks falling to December lows near $3,100, having charted bearish higher low at the crucial 6-hour chart 50-candle moving average (MA) this week. Meanwhile, litecoin, the fourth-largest cryptocurrency by market cap, is currently changing hands at $37.70 – a 12.7 percent gain on a 24-hour basis. LTC’s BTC-denominated exchange rate jumped to 0.011404 BTC on Binance earlier today marking the highest level since July 21, 2018. The rally looks sustainable, too, as trading volumes across exchanges have increased by 34 percent to $879 million in the last 24 hours. While the exact reason for double-digit gains is not clear, the cryptocurrency may have picked up a strong bid in reaction to the news that the Litecoin Foundation is in talks to implement privacy features for litecoin via the Mimblewimble protocol. So far, litecoin’s double-digit jump has not had a positive rub off on the broader market, and the top 10 cryptocurrencies by market capitalization are still trading flat or with minor gains. The broader market sentiment, however, may improve if BTC responds to LTC rally by climbing the crucial resistance of the 6-hour chart 50-candle moving average (MA), currently located at $3,417. That would boost the odds of a corrective bounce toward the resistance at $3,658. On the daily chart, LTC/BTC is trading well above the inverse head-and-shoulders neckline level of 0.010182 BTC. A bull breakout would be confirmed if prices close today above that level. The inverse head-and-shoulders bullish reversal pattern works best when it appears at the bottom of the sell-off, as is the case with LTC/BTC currently. Therefore, a breakout, if confirmed, could yield a rally to 0.0134 BTC (target as per the measured move method) – albeit after a minor bout of consolidation, as the 14-day relative strength index is reporting overbought conditions. As seen above, the 5- and 10-week moving averages (MAs) are trending north, indicating a bullish setup. Further, the 14-week RSI is reporting bullish conditions with an above-50 reading. So, the probability of LTC confirming an inverse head-and-shoulders breakout is high.